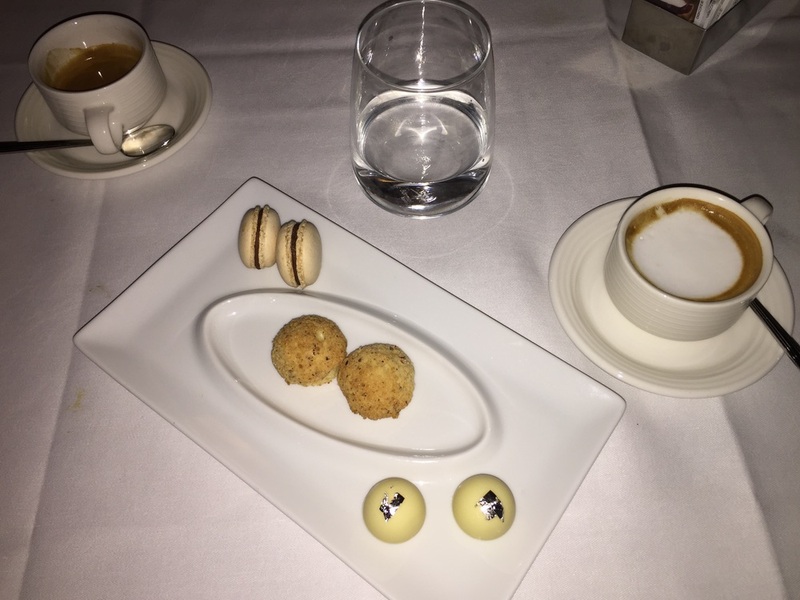 A chiq and modern dinner at the Lago di Como? Then Casta Diva is the perfect place to go! We took a seat, got already a bottle of sparkling water and an apertif arrived together with some fingerfood. 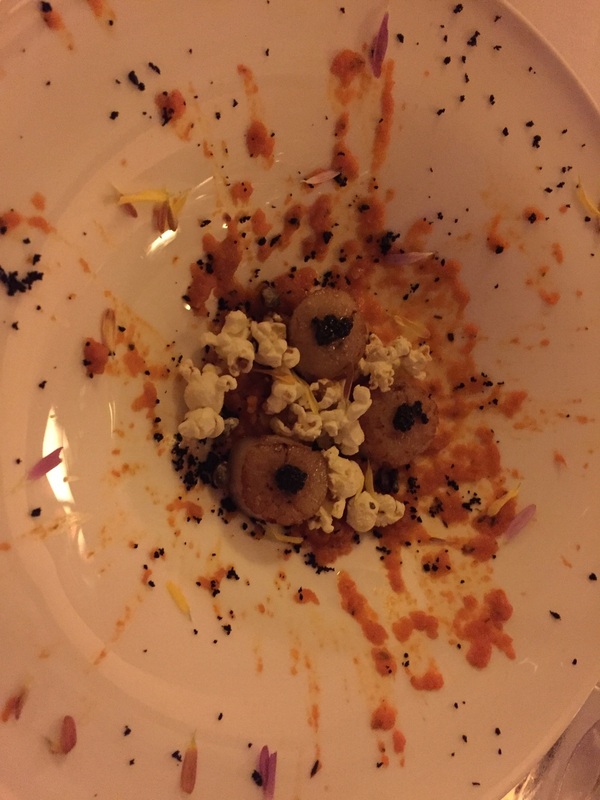 s a starter we had scallops with fresh tomato sauce and spicy popcorn wich was decorated like a wonderful painting. The primi piatti was a fresh risotto with mushrooms wich really tasted amazing and matched perfectly with the italian feeling as well as the pairing wine. omething unusual was prepared as a main course. A turbot - italian called "rombo" - in a crust of bread and salt. It was so soft and delicious - we both really love this fish in Italy! Our compliments to the chef for preparing this fish course in such an excellent way. homemade vanilla ice cream in a kind of round chocolate box was served ontop of crunched chocolate cereals and a milkchocolate sauce made the first desert. It was heavenly. The second Dessert was a bit lighter, being a coconut parfait with passionfruit sauce and meringue. The dinner was perfectly organized and served. The wine paring matched wonderfully to the four courses and we really enjoyed this evening. We were guests of CastaDiva Resort & Spa, however all above written expresses our own opinions and has not been influenced.